Before the question, how about a few statistics? The 20th century was mankind’s most brutal century. Roughly 16 million people lost their lives during World War I; about 60 million died during World War II. Wars during the 20th century cost an estimated 71 million to 116 million lives (http://tinyurl.com/ya62mrqa). The number of war dead pales in comparison with the number of people who lost their lives at the hands of their own governments. 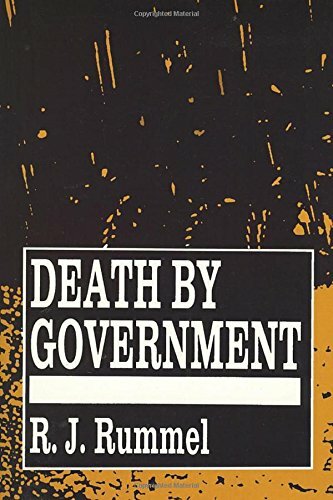 The late professor Rudolph J. Rummel of the University of Hawaii documented this tragedy in his book “Death by Government: Genocide and Mass Murder Since 1900.” Some of the statistics found in the book have been updated at http://tinyurl.com/y96tqhrl. The People’s Republic of China tops the list, with 76 million lives lost at the hands of the government from 1949 to 1987. The Soviet Union follows, with 62 million lives lost from 1917 to 1987. Adolf Hitler’s Nazi German government killed 21 million people between 1933 and 1945. Then there are lesser murdering regimes, such as Nationalist China, Japan, Turkey, Vietnam and Mexico. According to Rummel’s research, the 20th century saw 262 million people’s lives lost at the hands of their own governments (http://tinyurl.com/lu8z8ab).